Artifacts reflecting the history of the College. The Rudolf G. Schade Archives is the institutional memory of Elmhurst College. 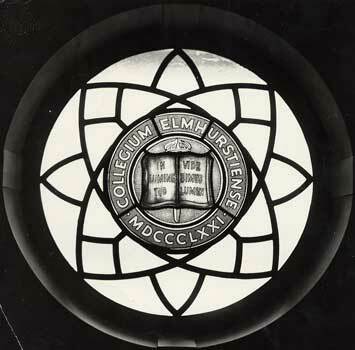 Founded in 1871 by the German Evangelical Church (now part of the United Church of Christ), the College has long been an integral part of the city of Elmhurst, Illinois. 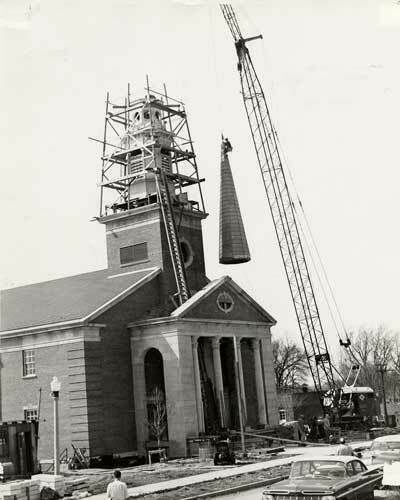 The mission of the Rudolf G. Schade Archives is to serve Elmhurst College, the surrounding community, and the Church by identifying, preserving, organizing, and making accessible its records of enduring value. To provide the people of Elmhurst with information on the history of the College that has been an important part of the community since 1871. The Rudolf G. Schade Archives, located on the lower level of the A.C. Buehler Library, is open to faculty, students, staff, and other researchers. If the information provided by the Archives is to be used in a publication, please indicate in the email. Search the finding aids for the Rudolf G. Schade Archives at Elmhurst College. 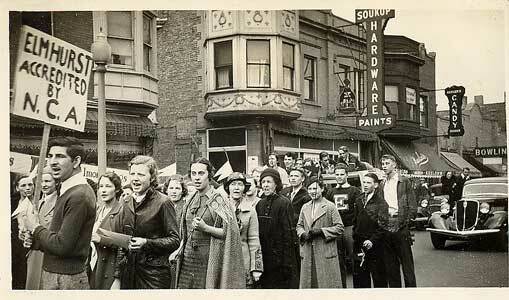 Choose “Social Justice and Activism at Elmhurst College” to see a selection of images surrounding student social protest and action at Elmhurst since the 1930’s. A guide to the history of Elmhurst College's participation in Moratorium Day against the Vietnam War, 1969.